A Business Improvement District (BID) is to be launched in Brighouse after the town’s businesses votes ‘yes’ in a month-long postal ballot. All businesses within the town centre’s BID boundary were eligible to vote on the proposal which has a vision to ‘create a destination town with a strong and sustainable future which is vibrant, lively and welcoming where businesses, shoppers and visitors feel safe and secure’. 71.9% of those who took part voted in favour. The vote represented 71% of the total rateable value of the properties owned and managed by those who voted. Under BID regulations, more than half of those taking part in the ballot must support the scheme for it to go ahead and they must account for more than half of the total rateable value of the businesses. The business improvement proposal was developed with both financial and officer support from Calderdale Council. Now a ‘yes’ vote has been secured, the local BID team, with continued Council backing, will begin the process to establish it as a legal entity, with an operating board of the town’s business people overseeing how the money raised, estimated to be around £120,000 a year, will be spent. It will commence operations in April 2019. “This is great news for Brighouse and the programme of investment that will follow the vote will bring great benefits to the town. 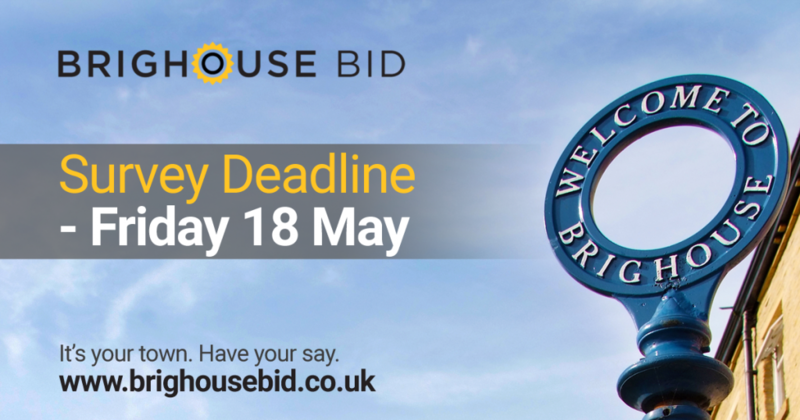 The BID’s income will come from a levy of 1.75 per cent of rateable value on businesses within the BID boundary who have a rateable value of £2,000 or above. For over 60 per cent of businesses, this means an investment in Brighouse of £175 or less per year, a daily cost of less than a second class stamp. 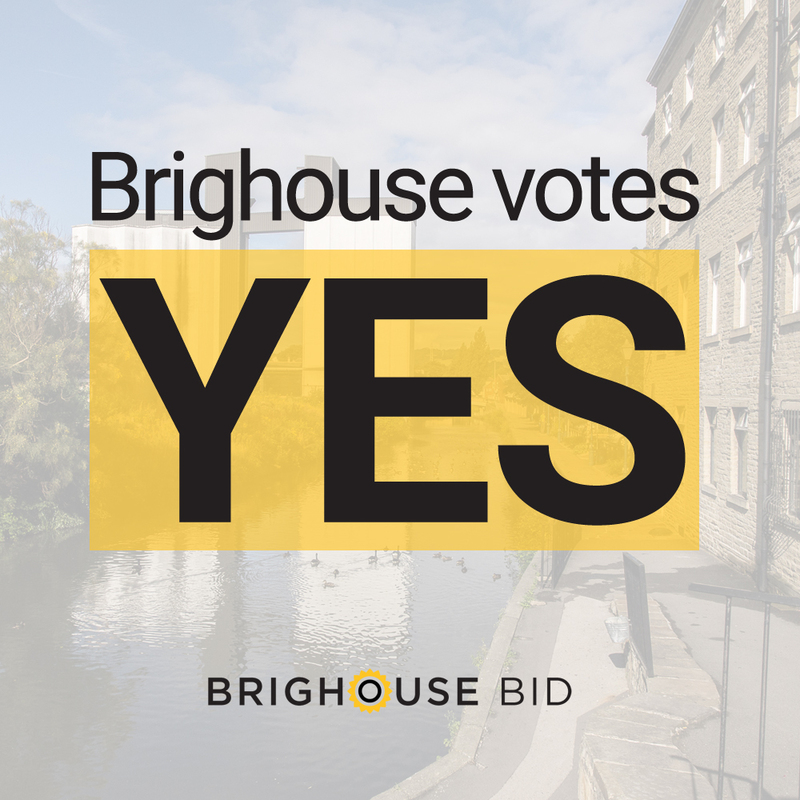 Brighouse has a bright future in charge of its own destiny if businesses vote yes to plans to introduce a Business Improvement District (BID) in the town. That was the message delivered by business leaders who have developed proposals to introduce a BID which were outlined at a launch event on Thursday (20 September). If there is a ‘yes’ vote, it would mean more decisions about the town would be made in the town by the town’s businesses. The vision for the Brighouse BID, determined after extensive research, is to ‘create a destination town with a strong and sustainable future which is vibrant, lively and welcoming where businesses, shoppers and visitors feel safe and secure’. The BID’s budget of £120,000 per year would come from a levy of 1.75 per cent of rateable value on businesses within the BID boundary who have a rateable value of £2,000 or above. A 28-day long vote where businesses within the BID boundary will be able to say ‘yes’ or ‘no’ to the proposal is getting underway. Ballot papers will be posted along with a prospectus for the BID directly to all eligible to vote. The result will be known by Friday 26th October. In order for the green light to be given, over half of business ratepayers who vote have to say ‘yes’ and those in favour also have to represent more than half of the combined rateable values of those who vote. If businesses vote ‘yes’, the BID would come into operation on 1 April 2019. “This is a crucial moment for our town. A ‘yes’ vote would ensure the investment into the town, both through money spent, people attracted and a wider perception of a town on the up, can continue. 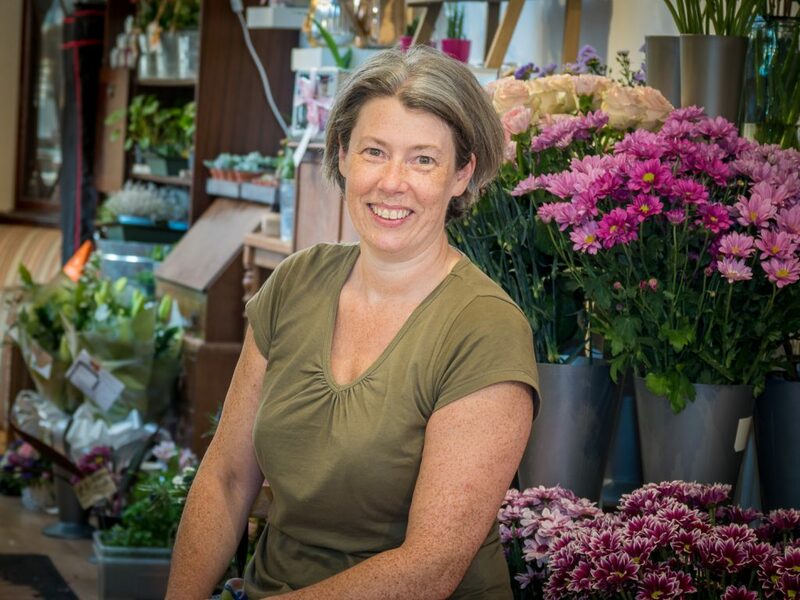 “We have identified the priorities of businesses by working with businesses and we now hope businesses will back our plans and recognise that a small investment by them can make a big difference to our town. “We recognise that Brighouse is made up of groups of different sorts of businesses, who all have different focuses and different aims. But what makes Brighouse special is diversity coupled with desire – to improve our town for those who live in and around Brighouse, those who own and run businesses across Brighouse and those who visit to shop, see and spend throughout Brighouse. 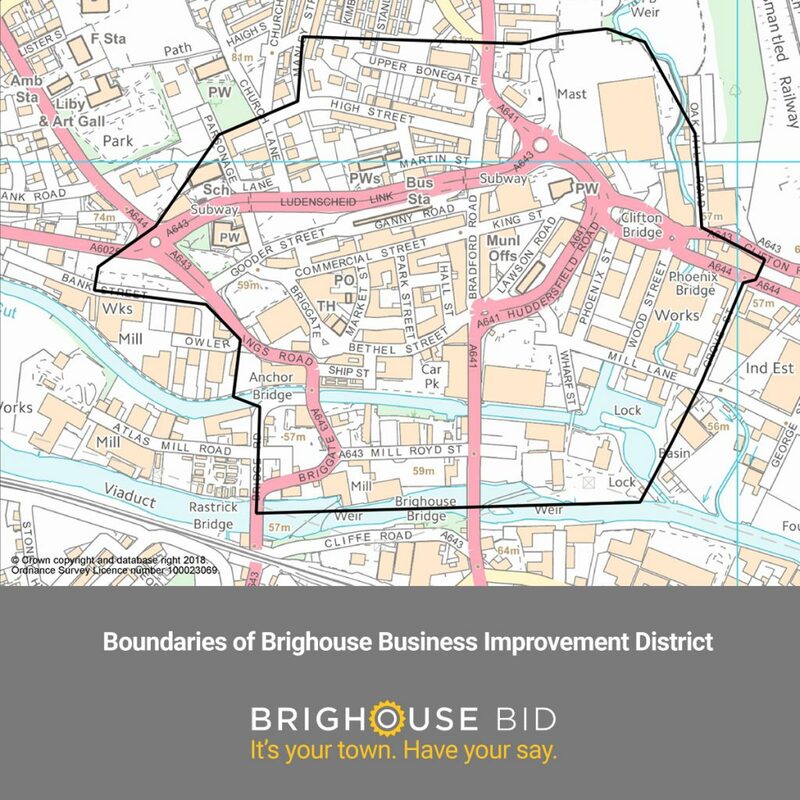 The deadline is fast approaching for Brighouse businesses to have their say on proposals to develop a Business Improvement District (BID) for the town – and they’re being encouraged to make their voice heard. The BID Steering Group are urging all town centre businesses to give their views and return the surveys which have been delivered in the past few weeks. The responses will help form the business plan for the BID which will then be voted on later in the year. A number of key issues have been raised in the survey so far – including the need to promote and market Brighouse better in the future, the desire for an improved, business-led crime prevention scheme and the importance of improving access to the town centre, whether by car or public transport. The survey has also been asking about the boundaries of the District. The current view is that the focus should be the town centre itself rather than the industrial areas on the outskirts of the town, but the Steering Group, who are being supported in their BID development by Calderdale Council, would welcome more input before a final decision is taken next month. After the survey, workshops will take place in June when businesses will have a chance to hear more of the feedback from the survey and influence the direction of the business plan. A meeting was held for Brighouse town centre businesses at Prego Restaurant in the town on Wednesday 8 November to discuss a business improvement district and whether that model should be developed in Brighouse. Proposed by The Brighouse Business Initiative, working with other local traders, initial development of a Business Improvement District (BID) is now underway and over the next few weeks businesses in the town centre will be consulted about what changes would benefit them in Brighouse town centre. This event gave all the businesses a chance to hear about what a BID is, why the Brighouse Business Initiative is proposing a BID, and to give some examples of what other BIDs have delivered for their town centres. A BID is a defined geographical area within which businesses put forward ideas to improve trading conditions, funded by a small levy (typically between 1% and 2%) based on rateable value. These ideas will be developed into a business plan which is then voted on by potential levy payers in the BID area. BID funds are ring-fenced to provide the improvements agreed in the plan. This ensures a sustainable and democratic way of businesses having input as to how their money is spent. A varied and wide range of businesses attended the event including independent retailers, multi-national retailers, restaurateurs and landlords, alongside those representing professional service industries such as accountancy and law firms. Those present heard presentations from Anne Colley of the Brighouse Business Initiative, Steven Lord from Arts for Brighouse and from Calderdale Council. Calderdale Council is supportive of this business led initiative and will help to fund the consultation phase of the process. “A successful Business Improvement District can drive improvements to a town centre, giving businesses a collective voice in how their money is spent. 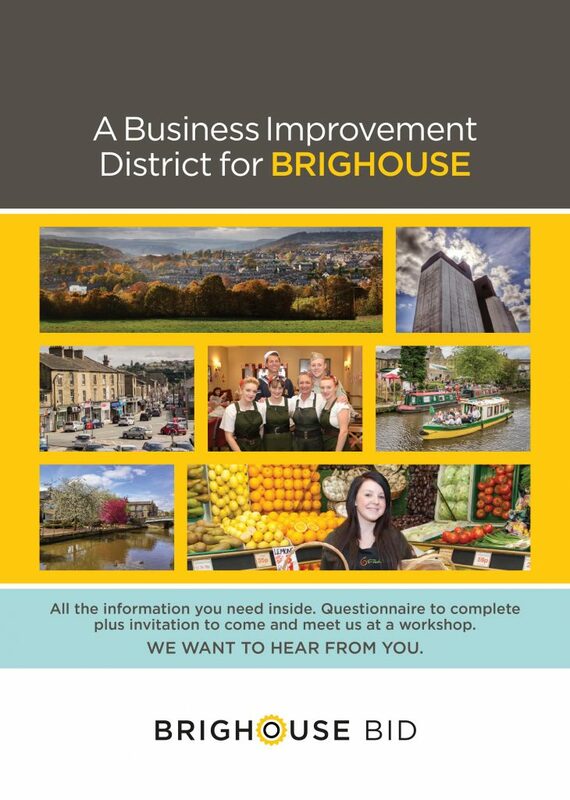 As a business in Brighouse town centre, you are invited to a brief presentation and discussion about a Business Improvement District (BID) for Brighouse. To find out how you and your business will be able to contribute to this exciting project, we are holding an evening event, on Wednesday 8th November at Prego, 5.45pm for a prompt 6pm start. A well-managed BID ensures that the businesses within the BID area have a direct influence over the trading environment in the town. They then vote on a business plan and agree to invest in the delivery of activities which directly impact upon their business. As this affects you and your business we need as many business owners as possible to get involved, shape the plan and identify what is important to businesses here. This is an important opportunity so please come along and find out more.